The Oak Ridges Corridor Conservation Reserve (ORCCR) is a linear greenspace located in the Town of Richmond Hill. The site holds significant ecological and cultural importance as the point of origin for the Oak Ridges Moraine. Geographically, this project focuses on engaging the immediate residential community surrounding the ORCCR, as well as attracting visitors across York Region. (Re)Engaging Greenspace: The Growing Stewardship Strategy is a compilation of innovative solutions prepared for the Toronto Region Conservation Authority (TRCA) as a starting point rethinking stewardship and engagement within this fragile landscape. The group defined three core goals for stewardship: belonging, experience, and awareness. Using these three stewardship goals as a basis for analysis, the group established two sets of criteria to guide the creation of the strategy. These include site objectives such as conservation, recreation, and connection, as well as demographic objectives such as culture, age, and ability. Based on these objectives, the group outlined five strategic directions for action: branding, park use, infrastructure, online presence, and community outreach. The implementation of these actions will help build upon existing local engagement by cultivating a new generation of stewards of the rebranded Conservation Park. 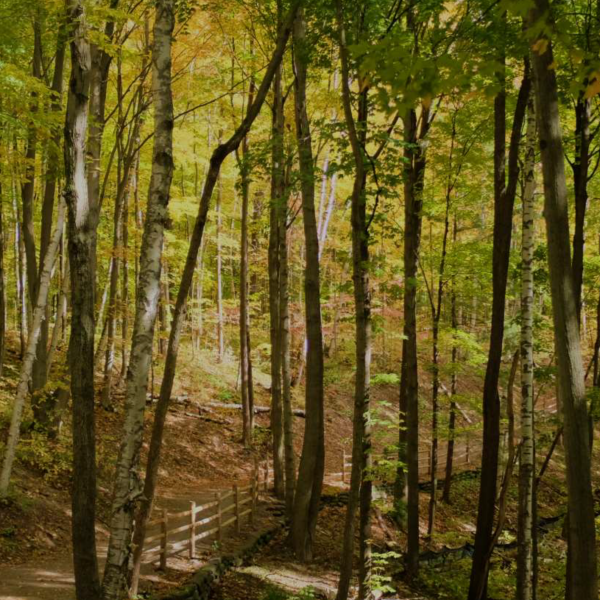 This project lays the groundwork for subsequent research and analysis on future re-engagement efforts, as well as the application of park improvements by the TRCA and its partners.